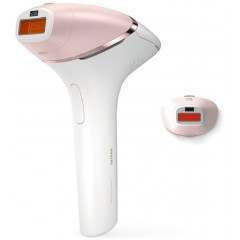 Tested by dermatologists, the Braun Venus Skin IPL system is perfectly safe for use in the comfort of your own home. 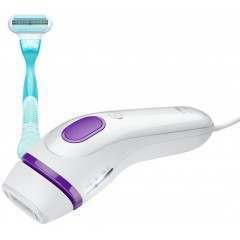 Provides more effective hair reduction than before. 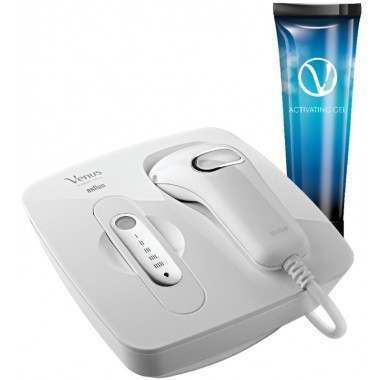 Equipped with a unique skin tone sensor to provide the safest treatment, tailored specifically to your skin’s needs for the best results. 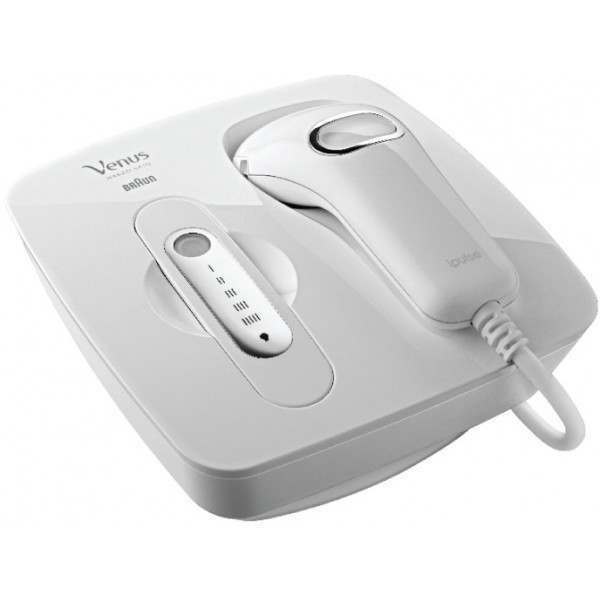 Gillette Venus Naked Skin IPL system designed by Braun is tested by dermatologists, so you can use IPL technology safely in your home. And it comes at a fraction of the cost of professional treatments. 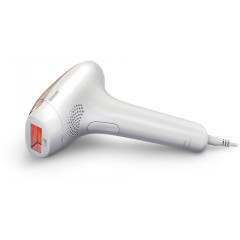 How does the Naked Skin IPL system work? Similar to professional lasers found in dermatologists offices, the Naked Skin IPL system uses Intense Pulse Light (IPL) technology to help break the cycle of hair re-growth. Clinically and dermatologically tested, the system emits light to the base of the hair root, helping to put the hair in a resting phase. 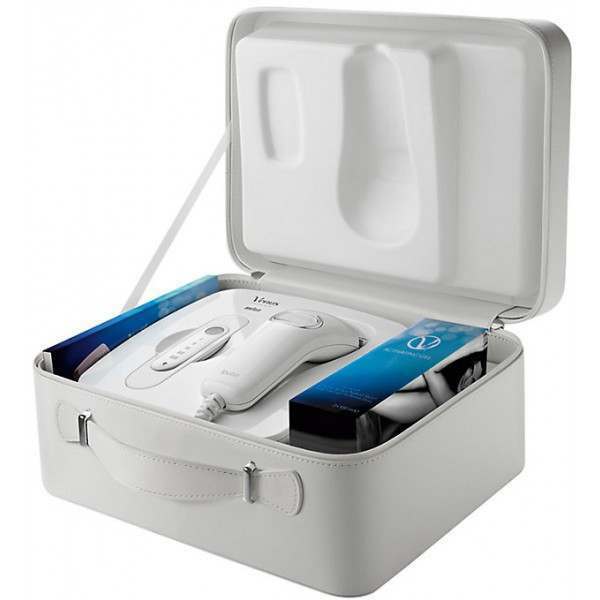 With continued use, the Naked Skin IPL system helps the hair to stay below the skin’s surface, leaving your skin smooth and beautiful, showing up to 80% hair reduction after three months (based on recommended regimen, clinical study among 46 women in Germany 2012). 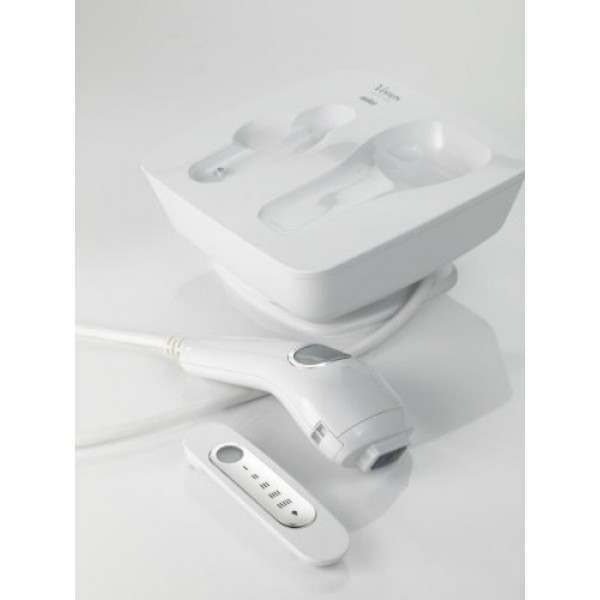 Why choose the Naked Skin IPL system? 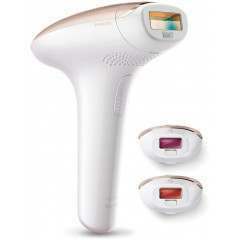 The Naked Skin IPL system is equipped with a unique skin tone sensor to measure your skin tone for safety. 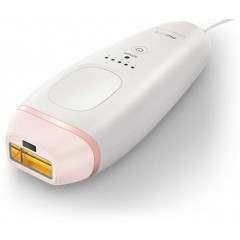 It’s easy to use: simply remove the skin tone sensor and place it on your skin. Press the white button and your skin tone level appears. Once a skin tone reading is confirmed, the device will adjust the energy level automatically. The device also has contact bars as an added safety feature. Cordless devices need to be recharged, possibly multiple times before completing the treatment of large body areas (eg: two full legs) and they cannot be used while they are being charged. With the Naked Skin IPL system you can treat your body without interruption and at a fraction of the cost of professional treatments. Read our latest post on IPL treatments for more information and guidance on the latest hair removal method.